Shiv Sena, in its editorial mouthpiece Saamna, took a swipe at the Bhartiya Janata Party (BJP) over the criticism of Sanjay Raut joining the Telugu Desam Party (TDP) chief Chandrababu Naidu's rally over demand of special status to Andhra Pradesh in Delhi. New Delhi: Shiv Sena, in its editorial mouthpiece Saamna, took a swipe at the Bhartiya Janata Party (BJP) over the criticism of Sanjay Raut joining the Telugu Desam Party (TDP) chief Chandrababu Naidu’s rally over demand of special status to Andhra Pradesh in Delhi. The Saamna editorial clarified that the Shiva stands with the TDP’s demand despite the Andhra-based party’s political posturing against the NDA government at the Centre. Chandrababu Naidu’s TDP broke away from the ruling NDA and has been working to mobilise the opposition parties against the BJP-led NDA for the upcoming Lok Sabha Elections 2019. Known for attacking its long term ally, the BJP, Shiv Sena has declared its support to the TDP’s demand for the special status to Andhra Pradesh. In its editorial, the Saamna wrote, for us the nation comes first and unlike the BJP, we know the difference between the PDP and TDP, apparently taking a dig at the BJP’s alliance with the Mehbooba Mufti-led J&K Peoples Democratic Party. 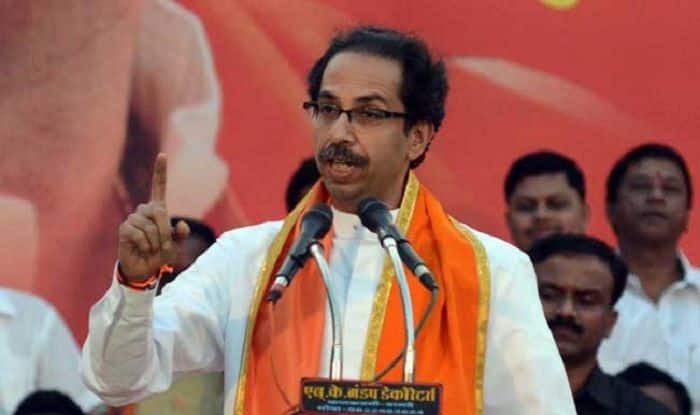 The Shiv Sena has been critical of the BJP’s decision to forge an alliance with the PDP to form a government in Jammu and Kashmir after the the assembly elections in 2014. However, the BJP pulled out of the alliance three months ago and later the assembly was dissolved the the governor. Our detractors must know that we have courage to speak the truth and don’t fear any consequence, the editorial said. The two alliance partners, both at the Centre and Maharashtra, have been at loggerheads over several issues with Shiv Sena often going against the BJP’s stated position the matter of public importance. Earlier, the Sena had praised Congress president Rahul Gandhi for Congress’s victory in Rajasthan, Madhya Pradesh and Chhattisgarh.